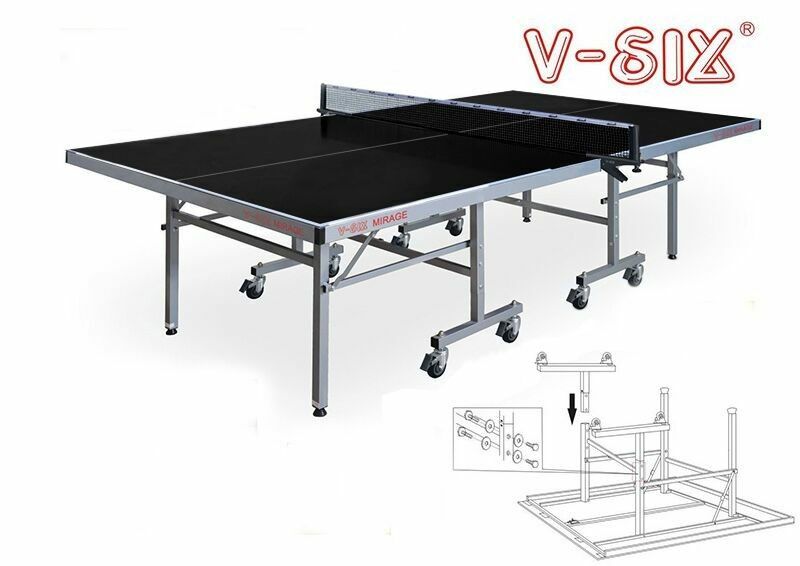 MIRAGE1 table is our outdoor Table Tennis Table. We select an innovative and genuine AP Board material which can be installed in various condition ( sun, rain, and cold weather).They are durable and provide a similar feeling to traditional table material.This table is single folding, easily assembling and moving. is safe while using our table. Storing the table can be a head-ache but we think of it to keep it minimal. Some of our VSIX tables are in accordance with the European Standard EN14468-1.